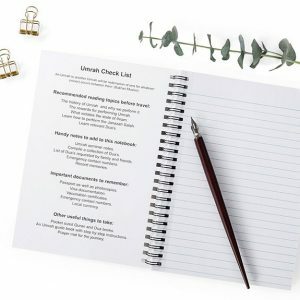 This contemporary notebook is the perfect companion for jotting down those all important notes, thoughts and to-do lists. 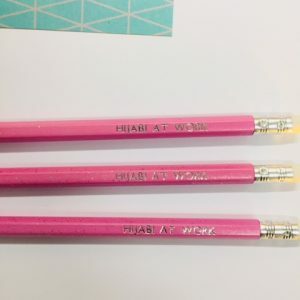 Writing notes has never felt so stylish! This notebook would make a great gift for a loved one of all ages. 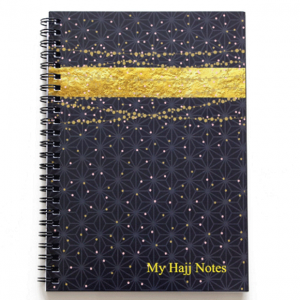 This stylish Hajj notebook is the ideal companion to take with you on the 'Journey of a lifetime”. 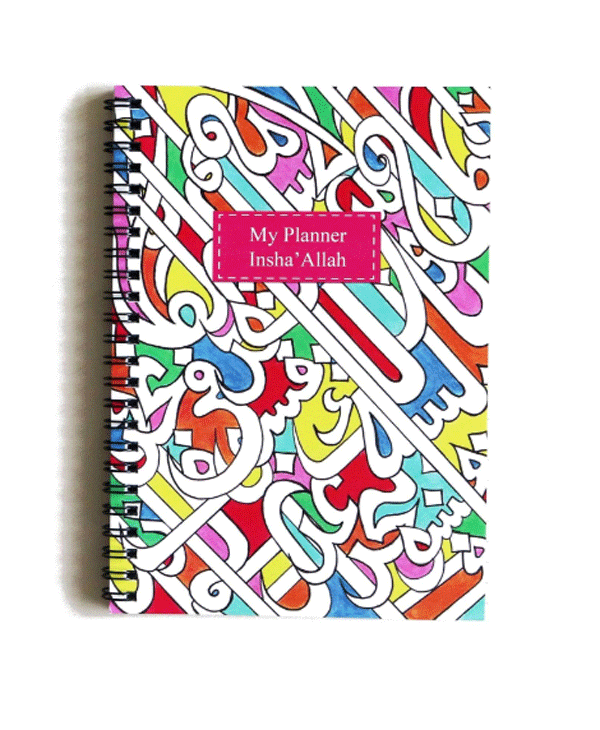 A great way to compile all your Hajj to-do lists, Hajj seminar notes, travel itinerary, important dua's, record memories, contact numbers etc. Would also make a great gift for those who are about to embark on to this rewarding pilgrim. 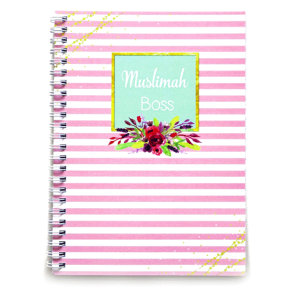 This Muslimah Boss notebook is the perfect companion for jotting down those all important notes, thoughts and to-do lists. Writing notes has never felt so stylish! 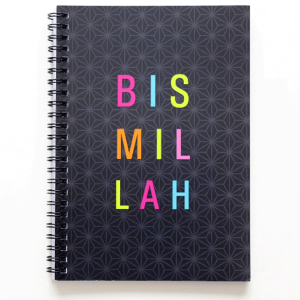 This notebook would make a great gift for a any female Muslimah. Using a combination of traditional craft and modern techniques, our Luxe Collection of notebooks are bound with the finest linen embossed board and hot foiled in a stunning shade of metallic rose gold. 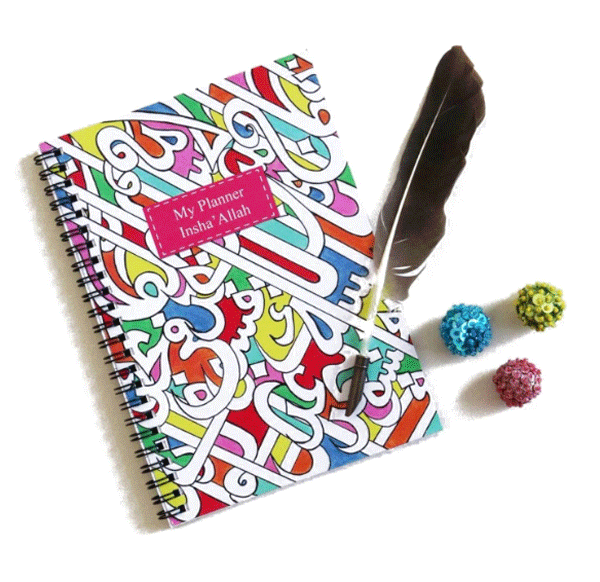 Perfect for your everyday notes, thoughts, ideas, memories, or can be given as a treasured present. 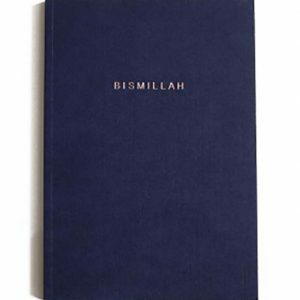 Start everything with the remembrance of Allah.This contemporary Bismillah notebook is the perfect companion for jotting down those all important notes, thoughts and to-do lists. Writing notes has never felt so stylish! This notebook would make a great gift for a loved one of all ages. 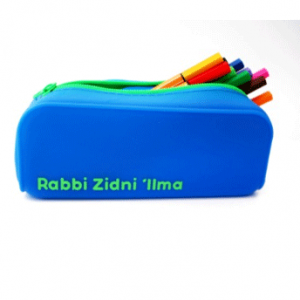 Enjoy study time with this funky coloured zipped pencil case adorned with a beautiful Dua to keep the little ones motivated. 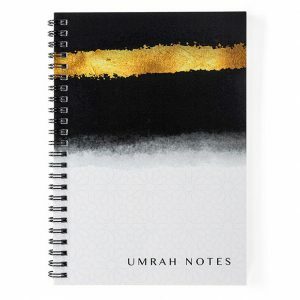 This stylish Umrah notebook is the ideal companion to take with you on the ‘Journey of a lifetime”. 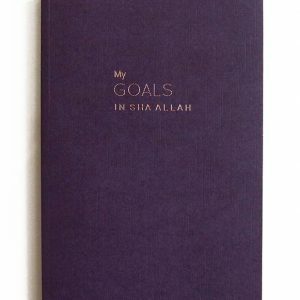 A great way to compile all your Umrah to-do lists, travel intinerary, important dua’s, record memories, contact numbers etc. This notebook would make a great gift for those embarking on this amazing pilgrim. © 2019 Islamic Pearls | All rights reserved.